* To View Print or Save the Most current Edition of this page. Click The Download Icon and either choose to SAVE Word file format to your computer. To print it OPEN document from location will allow a Pre formatted Word document to Open to Print for review anytime. ..Our #4010 is the BEST Value on the market, feature for feature of any Diaper in theWorld, and its"Made in USA"
Upgrade to Premium #4010 Features i.e. includes Soft Elastic Stretch Waist, better absorbency. Upgrade same price all sizes. SECONDS BALES & BULK BAGGED DIAPERS. Please see main Spec sheet for offers and prices. All Bathroom Tissues are "Made in USA" (unless stated) at the finest Mills using Ultra Soft papers and our paper is 100 % Septic safe. * Weight of bales is a normal average weight for that Item number, and may vary from bale to bale. ** The usable percentage can vary from shipment to shipment. The above range of usability includes those diapers that need no adjusting or fixing. These numbers are the feedback from prior user experiences and are provided to give you their guidelines on the percentage of diaper usability. *** Price per diaper assumes an average of 11 baby diapers per pound. The feedback from prior user experiences indicates the range of 10 to 12 diapers per pound. Depending on the percentage mix of sizes, and the construction weight of the different styles. 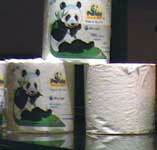 Bulk diapers above sold by weight and priced by quality level from economy to Super plush diapers with velcro straps. All above diapers are Full Feature and have elastic legs and elastic waist-bands, unless marked. Baking Soda now added to Gold line, Aloe & Vit. E added to the Platinum line. Bundies Also has Aloe & Vit. E and available with VELCRO side tape extra special order.